MB&F has been collaborating with clockmaker L’Epée 1839 For many years creating a wide variety of very unique timepieces. 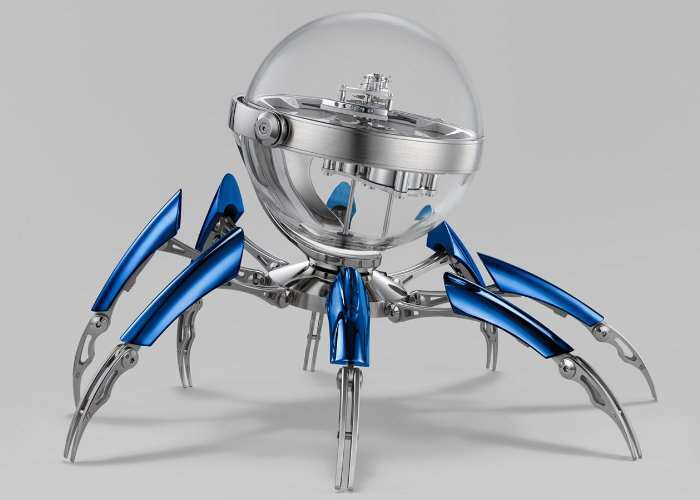 The latest to be unveiled takes the form of the MB&F And L’Epée 1839 Octopod Clock which is now available to purchase priced at $36,000. 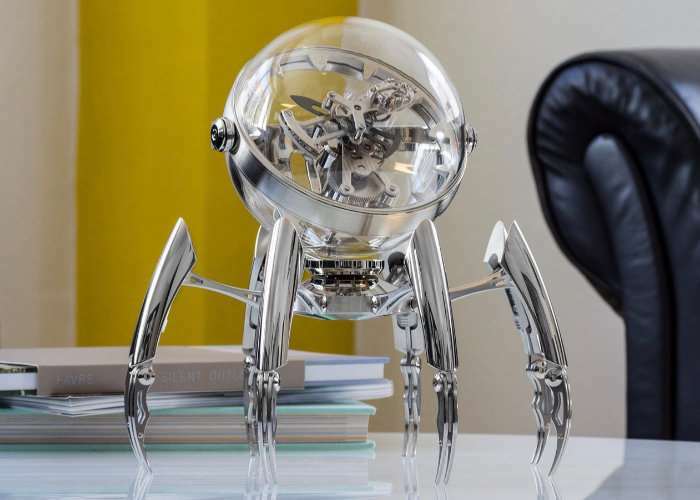 The Octopod Clock is a bio-mechanical, articulated-limbed, bubble-headed timepiece mounted on a pivoting mount which allows the clock to be tilted to the optimum angle for viewing. Watch the video below to learn more about its design and mechanics. After the HM7 Aquapod, MB&F’s first aquatic wristwatch, Max Büsser and Friends dive once again into the marine world – but this time, they’ve taken a dive buddy along: announcing the OCTOPOD table clock, co-created with L’Epée 1839. The clock will be made in three limited editions – black PVD, blue PVD, and palladium – with 50 of each. I think this is an especially successful example of a clock collaboration from L’Epée 1839 and MB&F – the flexibility of the clock, the presence of points of articulation throughout, and the handling of the movement inside its bubble enclosure make for not only a very sophisticated and unusual take on the often rather staid world of table clock design, but also fulfills what’s always been one of the key objectives of any MB&F design: creating something that’s fun.